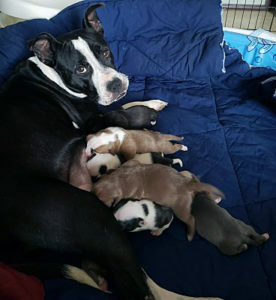 Spirit was in a high kill shelter with her newborn puppies, she was Heartworm positive which could have been a death sentence for her and her pups so we had to step in. Spirit has been through a lot, she was underweight. Then after being in rescue for 5 days she got mastitis and was not allowed to feed her 10 day old puppies because of the medicine she had to take to help her clear up the infection, that meant bottle feeding her 8 pups (they are all doing well) Now we are waiting for Spirit’s milk to dry up so she can be spayed. Once her incision has healed we will start Heartworm treatment. Spirit is a Bully mix and weighs about 43 pounds. She is guessed to be between 2 to 3 years of age. She is a very social dog and loves to play with other dogs and loves her people/children too. She is house and crate trained and does ok on a leash. She loves to chew on beef bones and is just one happy go luck gal. 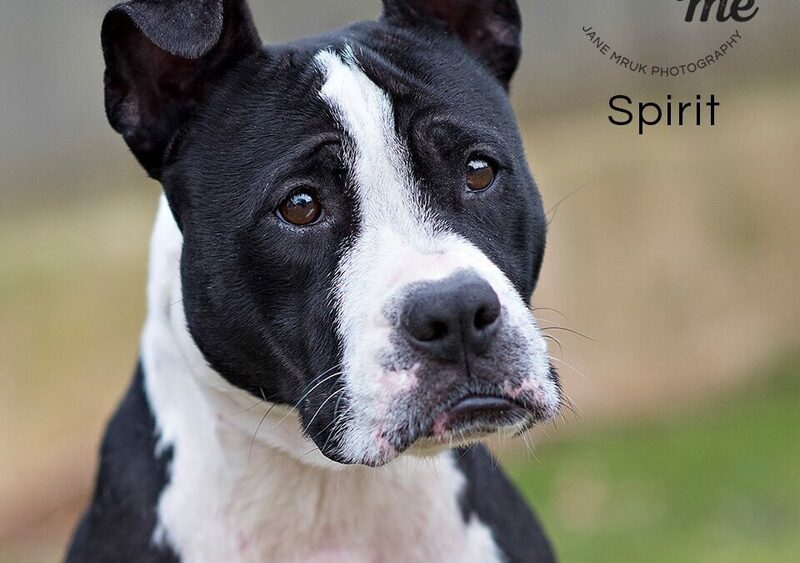 Right now Spirit is only available for Foster to adopt until she is done all her treatments. So you must live within a 30 minute drive from Middletown DE, since the foster must be willing to take her to her treatments at our vets. If you are interested in Sprit, please fill out an application.